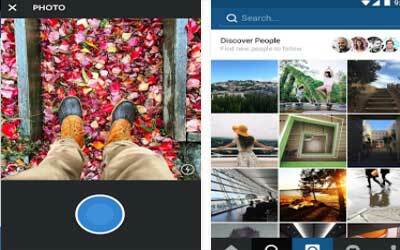 Previous version Instagram 10.24.0 apk for Android will help you to downgrade or install older app easily. This is one of the best Social apps. The newest version of this app improves it with three more additional filters such as options for colour overlay, fade features, and more ways to spruce up your pictures. You can also add emojis or emoticons to the hashtags you put in caption and simply share it to the whole community. While the concept might be pretty simple and it is just a site full of pictures and video collections, nonetheless, it continues to be one of the most addicting sites out there in the realm of internet and social media. They said that a picture is worth a thousand words, and thus the reason why this social network is a fad that won’t die, people use it as means to share their daily lives and create a story out of it using stylized videos and photos. Using the site is pretty easy, you can even learn it without tutorials since the features are more or less self-explanatory and intuitive. Nonetheless, you need to make an account at the site first before you can use the application. Start by signing up using your username, e-mail address, and of course, password. Instagram can be set to connect to other social media such as Tumblr, Facebook, Twitter, Foursquare, Flickr, and Posterous, or you could simply select to share the images from the application using the share button or using your e-mail. For the non technologically gifted such as myself, this is an easy app to use.